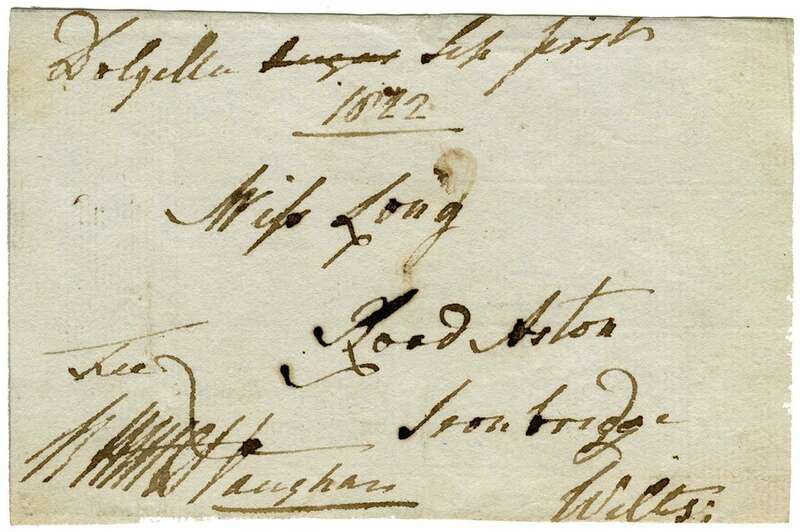 Robert Williames Vaughan was born on March 29th, 1768 and was the first son of the surgeon and apothecary Sir Robert Howell Vaughan who was given a baronetcy for political loyalty to William Pitt ‘The Younger’ in 1791, although he was very ill at the time and died the following year. Robert Williames was educated at Jesus College, Oxford (1787) and married Anna Maria Mostyn on September 23rd, 1802 (daughter of Sir Roger Mostyn, 5th Baronet, of Mostyn and Gloddaeth). He inherited Nannau and it’s 12,000 acre estate on his father’s death on October 13th, 1792. A few years after this (around 1794) work started on a new house at Nannau, which is the one we see today. 1794 was also the year the local town of Dolgellau was hit by an outbreak of smallpox, which killed thirty-eight of it’s residents. 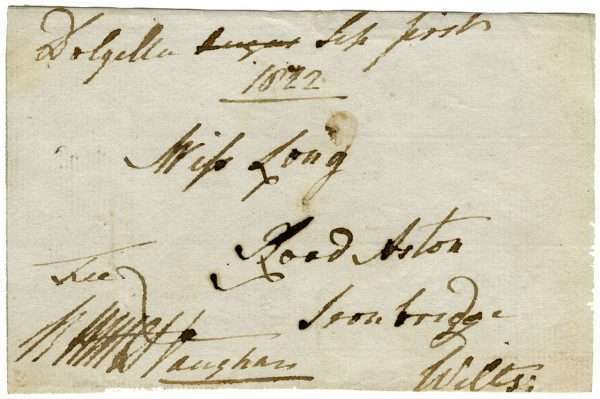 He became the Conservative Member of Parliament for Merioneth in January 1792, arriving at Westminster eight years into the premiership of William Pitt ‘The Younger’. He held his seat (without opposition) until ill health forced him to retire in 1836 (which could have been due to Gout which he suffered from). There were few people willing to stand against him, his younger brother Griffith Howell Vaughan was the constable of Harlech Castle (owner of the Hengwrt and Rûg estates). Between the pair, they were Merioneth’s leading land-owners. 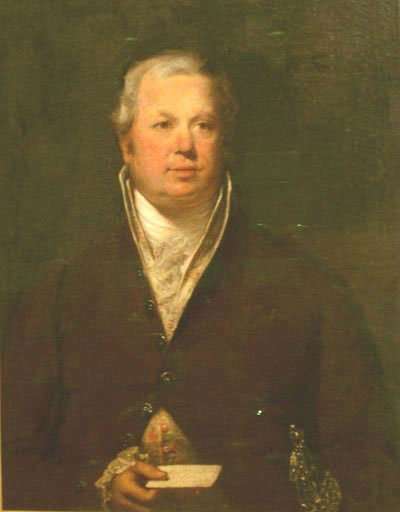 While he was a popular and important figure in Merionethshire, especially his tenants around Nannau, he did not make much of an impact in Westminster and had the reputation of being a little uncouth. His head and heart seemed to stay at Nannau, being more interested in spending time in his constituency, farming and building work on his estates. His attendance was poor and he made no reported speeches in his first twenty-eight years as an MP, his first (and only) one being in 1830. Sydney Smith described him as a “sweet innocent” in 1799; “He sees from his windows Cader Idris and Snowdon, both of them inferior to himself in height and bulk. It was curious and amusing to see the worthy baronet, surrounded by sixteen little men and women who reached up to the waistband of his breeches, and looked like iron rails round a monument”. (A side-note to this description is that Snowdon is in fact twenty-three miles from Nannau and he most likely means Cader Idris). He had associations with MPs his own Conservative party as well as The Whiggs (the opposition at the time). He found friends on any side that shared his love of the Welsh language, it’s poetry and hunting. 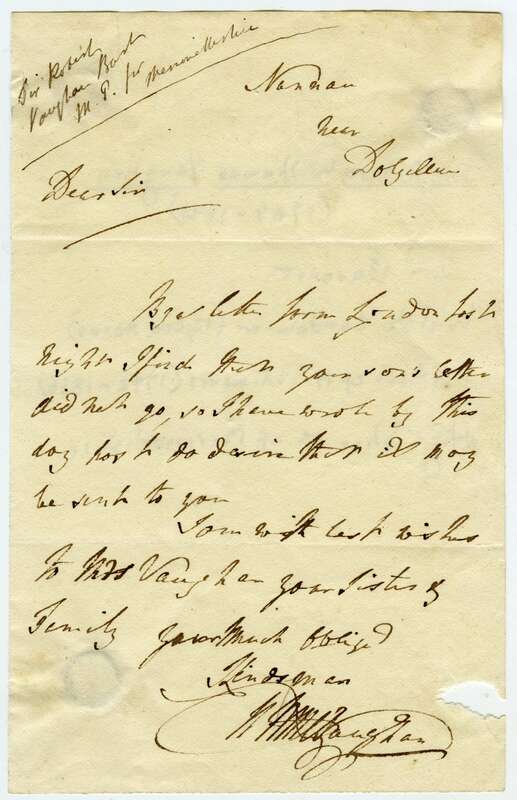 In 1820 he announced that he would seek re-election and proposed a county meeting to celebrate the reign of the recently deceased George III. Later in 1820 he had a bilingual tribute to the late George III inscribed on a new extension to Llanfachreth church (these stones can still be seen at the church today). During this time a great deal of building work was carried out at Nannau with arches and lodges dedicated to George III and George IV. Also many of the estate buildings bear the initials “RW V AM” for Robert and his wife Anna Maria from around this period. He cut a pretty imposing figure. In her visit to Nannau in 1824 Mrs Frances Stackhouse described him as, “about six feet high and rather portly, dressed in a suit of home made grey cloth”. She went on to say, “The only books I ever saw in the house were in Sir Robert’s business room, and consisted of one on gaming and four or five on farming and gardening”. She also described Lady Vaughan, “She had been a handsome woman, and of a good Welsh family… but her education was not what we should call first class in England”. Robert Williames Vaughan was MP for Merioneth through fourteen Parliaments over forty-four years from January 1792 to June 1836. He was an MP during the premierships of twelve Prime Ministers, including William Pitt ‘The Younger’, Spencer Perceval, Arthur Wellesley (The Duke of Wellington) before retiring at the time of Sir Robert Peel. He was an MP during the reigns of George III, George IV and William IV and sat at Westminster when George Washington became the first President of America. He was succeeded at Westminster by his chosen nominee Richard Richards of Caerynwch, just three miles away from Nannau. 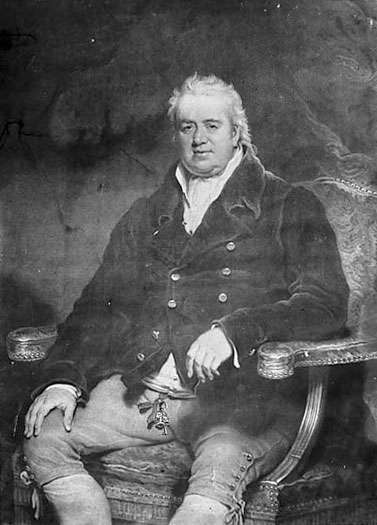 During his time as an MP, he was instrumental in the building work of nearby Dolgellau, including the Jail in 1811 and the Courthouse in 1825. He is also credited for building more than fifty-five miles of stone walling around his estate, which was needed as a result of the reworked “Enclosures Act”. It is said he maintained nine carters and eighteen horses or mules to carry the stone. He became the Sheriff of Merionethshire in 1837. This year-long post was (and would be) held by various members of the Nanney and Vaughan families, including his son in 1846 and John Vaughan in 1880. The 1841 census shows Robert and his wife sharing the house with five male servants (aged between 12 and 30) and eleven female servants (aged between 12 and 65). All born in Merionethshire. He died on April 22nd, 1843 aged 75.